Glenna M. Hazeltine, Esquire, focuses her legal practice on the civil rights laws applicable to disabled students on behalf of traditional public schools and charter schools. She began practicing education law in Philadelphia, where she was Assistant General Counsel and an administrator for the School District of Philadelphia before entering private practice. 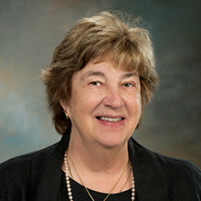 In addition to her education and special education law casework, Ms. Hazeltine is a frequent lecturer in the education field, speaking on a variety of issues facing school districts including student discipline in both the regular and special education curriculum, special education liability, §1983 and sexual discrimination. Ms. Hazeltine earned her Juris Doctorate from Temple University’s School of Law. She graduated from Smith College with a B.A. in English and from Northwestern University where she earned her Masters. She taught English in middle and upper schools before attending law school. It has become an inconvenient truth that special education due process cases are often controlled more by the fear of run-away prevailing party attorney’s fees than by the special needs of the child. Has the Court Rung The Death Knell on Settlement Agreements in Special Education? In a case of first impression in the Pennsylvania state courts, the Commonwealth court held that only courts have jurisdiction to enforce a settlement agreement and not hearing officers in due process hearings brought under the IDEA. This guidance does not provide any substantive changes as to how schools are to address the needs of students with ADHD as it relates to Section 504, but rather it highlights common areas of weakness for schools to consider when identifying and evaluating a student for Section 504 eligibility.